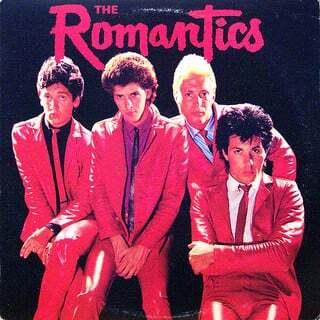 Back in 1979, the Romantics came out with the now-classic tune "What I Like About You." I heard that song on an Austin radio station the other day, and it made me think about our customers. Don't ask me why; it just did. What do they like most about Kuno Creative? Then I engaged in a conversation started by David Weinhaus in the HubSpot Partners Forum on LinkedIn about convincing customers to participate more in inbound marketing, especially in creating content. Hmmm, the wheels started to spin. Not that our customers don't know how to market themselves—they just don't know how to adapt to inbound marketing strategies and deploy the right resources and process. Most often, they just don't know where to start. So "yes," we do need to be change agents. The question is, how? Just like the Romantics song, what our clients like most about us is that we are different. We don't just build an inbound marketing machine. We build a hot rod. We challenge our customers to think outside the box on everything from marketing strategy to blog posts. We show them the way, but we ask them to join us in the journey. We're not slaves to the process. If email marketing isn't working, we ask ourselves why before we send out the next blast. If no one is reading the blog, we change the topics and places we publish. More to the point, if our customers start telling us how to do marketing and we disagree with their approach, we show them why we disagree and offer up better ideas. In every customer meeting we strive to move forward with new ideas, not just review current projects and results. This is the kind of change our customers appreciate. In their remarkable book, "Switch," Chip and Dan Heath talk a lot about why change is so hard. "... when you hear people say that change is hard because people are lazy or resistant, that's just flat wrong. In fact, the opposite is true: Change is hard because people wear themselves out. And that's the second surprise about change: What looks like laziness is often exhaustion." We fall into this trap by becoming overwhelmed with all of the tasks involved in inbound marketing and forgetting about the purpose. If you want to stimulate positive change within your customers, you have to start at home, within your agency. That starts with creating a culture in which change is embraced, not resisted, and each employee feels empowered to lead the way. If people in your agency are exhausted, there are probably 10 things that could be fixed to reduce the exhaustion and stimulate creativity. Ask them to help identify these issues and come up with fresh ways to solve them. Then use that same creative problem solving approach with your customers. They will love you for it.